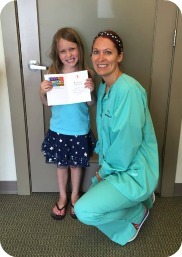 Every month, each child 12 years and under that has no cavities will receive a No Cavity Club certificate and a choice of a certificate for a Texas Roadhouse kids meal or Papa Murphy’s cookie dough . 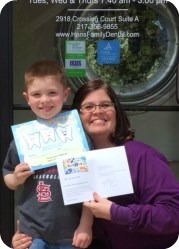 Each month we will draw one name and the winner will have their picture taken and be displayed on the No Cavity Club page of the website that month. The winner will also receive a gift card! This was Charlie’s first visit with our office and she did great! 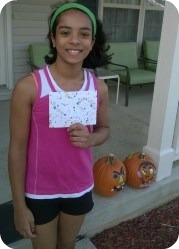 We are looking forwarding to seeing her bright smile in 6 months! 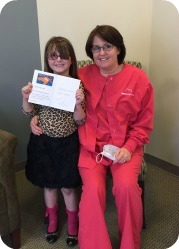 We hope she enjoys her gift card! Adi is so excited to get to toys r us and get superman stuff. Keep up the brushing and flossing! Great work! Ella has been doing a great job with her home care! Keep up the good work! Have a great summer! With her crazy schedule at gymnastics Amelie still has time to have great hygiene! Keep up the good work Amelie! Great job to Andrew! He is thinking of applying a gift card toward a video game. 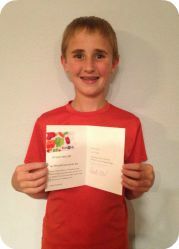 Andrew has great hygiene and we are so proud of him! 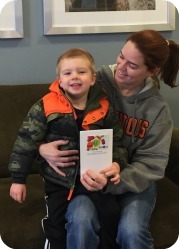 Conner had his very first dental appointment and had a great check up. 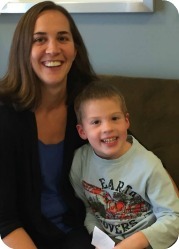 Conner says he is going to buy a Semi at Toys r Us. Keep up the good work Conner! Keep Smiling! Henry is SO excited. This is his first trip EVER to Toys R Us! He said he was going to get some Lighting Mcqueen stuff or some Legos. We are so proud of Henry and so excited for him! Keep up the great work! Ria is doing a great job! 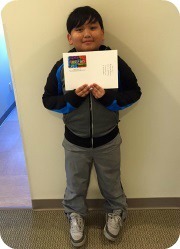 Keep up the great work and enjoy your gift card! Kinley has been doing a great job brushing and flossing. She is very excited to get herself some new Barbies. 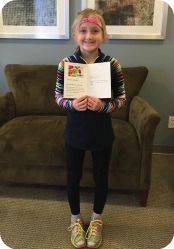 Keep up the awesome work Kinley! William has been busy with football practice this summer! 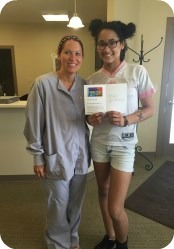 We hope you enjoy your gift card and keep up that good brushing and flossing! Mason has been having a great summer and is enjoying it to the fullest! 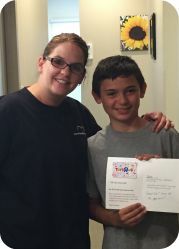 Keep up the awesome work Mason! Paige has recently became a big sister! 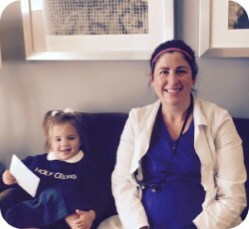 Paige and her older sister are so excited to have a new baby in the house! Keep up the good work Paige and keep brushing and flossing! We can’t wait to meet your little brother! Gunnar loves to swim and is looking forward to a summer full of it! Keep your smile bright Gunnar! Good job! 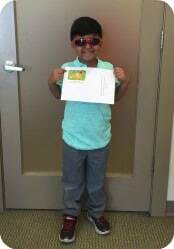 Payton is so thoughtful that she didn’t want her picture in the office she wanted to send us a picture so we could see what she got. 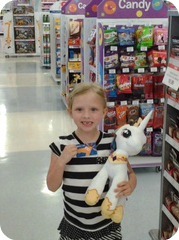 Payton bought a Unicorn and you can see it made her smile! Keep up the good work! Reese loves coming to the dentist and having her teeth cleaned. She was going to spend her ToysRUs gift card on a Teenage Mutant Ninja Turtle Kowabunga! Keep brushing, flossing and smiling!